Toby Price has a list of achievements any Off-Road competitor would be proud of. He has won the Tatts Finke Desert race six times, the Australian Off-Road Championship (AORC) and the Hattah Desert Race 5 times. He has also won the Australian 4 day Enduro (A4DE) twice. Toby has represented Australia at 4 International Six Day Enduro (ISDE) events. To top it off, he won the Dakar Rally in 2016 on his second attempt. He would certainly be one of Australia’s most successful Off-Road Racers. Team: KTM Off-Road Racing Team until 2015. 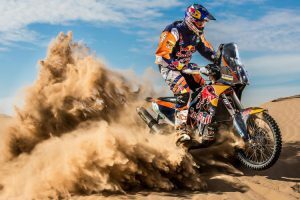 Now represents Red Bull Factory KTM Rally team. Toby began riding motorbikes at age 2 and was winning races by age 4. His father John Price was an Australian Off Road Buggy champion in 1989. He sold the vehicle to pay for motorbikes for his boys and concentrate on Toby’s racing career. In 2003 he won both Australian Junior Championships in the 125cc class and 250cc four-stroke class. Just 12 weeks earlier he had broken both wrists. In 2004 he turned professional riding for Kawasaki Australia. His progress was hampered by injuries and he quit the sport to work a full-time job for a construction company. In 2008 he returned to racing and was offered a contract by Kawasaki to compete in Enduro racing. It was a turning point in his career. In 2013 he crashed competing in the AMA Hare and Hound Championship in California and broke three vertebrae in his neck. He was lucky not to be paralyzed from the neck down. 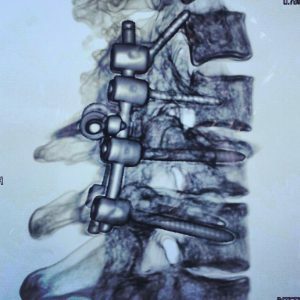 Toby now has a steel rod screwed to the vertebrae in his neck which will remain there for life. 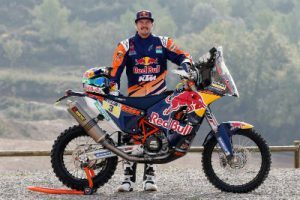 In 2015 he competed in the Dakar Rally with KTM and had a podium finish in 3rd place at his first attempt, winning stage 12. He was the first Australian to win a stage of the Rally. Toby followed that up in 2016 with a 1st place, winning stages 2,5,6,8 and 9. He is the first competitor to win Dakar on their second attempt, and also the first non-European to win the Bikes category. In 2017 he competed again but did not finish. He crashed heavily in stage 4 and broke his left femur. He had won stage 2. He was unable to compete on motorbikes in the Tatts Finke Desert Race due to doctor’s orders. Instead, he competed in the Buggies section but did not finish due to engine failure. 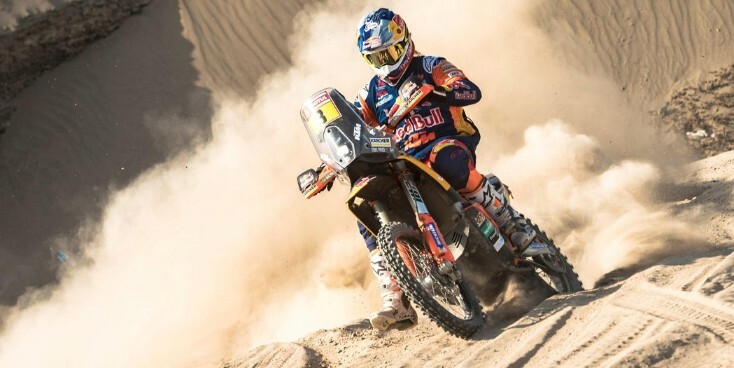 This year 2018, he is competing in the Dakar again, and at the time of writing this post, he is in 6th place overall after stage 5. 2018 Update: Toby has finished in 3rd place. A fantastic effort so soon after injury. Bring on Dakar 2019. 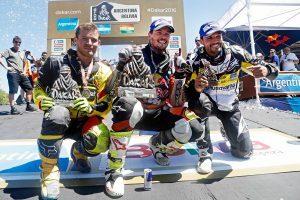 2019 Update: Toby has won his second Dakar Rally. Overcoming the pain of a broken scaphoid bone in his right wrist a few weeks earlier, he went on to take his second victory. He was considered somewhat of an underdog going in because of the injury. “The pain and torture has been worth it” Price said. 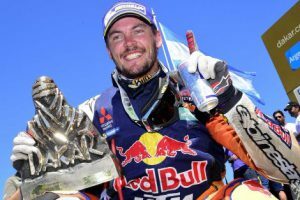 His win marks KTM’s 18th consecutive Dakar win. If you have any questions, or if there’s another famous rider you’d like to see a Bio on please leave me a comment below. Love the photos, love the stats! When I was a teenager this was one of my favorite sports! Thanks for sharing! Hi Kris, thanks for your comments. Yes, I was a teenager when I first got the bug for dirt bikes, and it is still what I love to do on weekends, though not as often as I’d like now that I have kids. He sure is. He’s lucky to even be walking let alone winning Dakar. Wow! He was lucky not to be paralyzed. I have a friend who was paralyzed by this sport. He still loves it and doesn’t regret it, but it took him awhile to get to that place. Hi Melinda, thanks for your comments. Yes, he is very lucky not to be paralyzed. Most people would have quit at that point. It takes a special person to go back to it and then win the toughest off-road event in the world. He has certainly had the good with the bad. Hi Matthew. Thanks for your comments. Travis Pastrana is one of the world’s best Freestyle Motocross riders. You’ve probably seen the guys who do the backflip jumps. It’s not your average Motocross, it’s a whole new level again. I have a 12 year old boy also, and would like to get him to come trail riding with me. Wow. Toby Price sounds like quite the rider! That’s incredible that he has been riding as early as 2 years old. He is certainly a big figure in motocross, and it was great to learn a bit more about him. You really included a lot of information in this biography making it a great overview of who Toby Price is. Thanks for the post! Thanks for your comments, Brendan. Yes, Toby is truly a world class rider. Not only in Australia but internationally as well. It’s an inspiring story. Wow! Toby Price has racked up quite the list of achievements. He sure is quite dirt bike rider. As a beginner myself, I see him as an inspiration. He has kept at it all these years and his efforts have paid him dividends. I do have a question though. What are some tips you have for beginner aspiring dirt bikers? I am just starting and I am looking for advice. Anything you can help me with would be most appreciated. Thank you in advance and I hope you make today a great day! Hi Alex. Thanks for your comments. Toby certainly is an inspiration. The Dakar is currently in progress, and Toby is running 6th overall for KTM. If you google Dakar 2018 you can see how he is going. If you’re thinking of getting into off-road riding, and you don’t yet have a bike, the best tip I can give you before buying a bike would be to decide what type of riding you will be doing first. If you’re just doing one-day trail rides on narrow tight forestry trails, I would go for a light bike that is easy to handle. A 250cc to 450cc will have all the power you will need. If you’re wanting to get into Adventure riding and camping trips, you will need something much bigger with the ability to fix a luggage system for all the gear. I wrote a post on my website called ‘What are the differences between Dual Sport and Adventure Bikes’. If you read that it will give you a good idea of what you’re looking for. If you already have a bike, I wrote a post ‘Dirt Bike Riding Tips and Techniques’ which will help on the riding side, and there is a page ‘Setup Tips’ which will tell you everything you need to know about the bike. Hope that helps. Let me know if I can be of any more assistance.